Ipoh is a 3-hour drive away from Kuala Lumpur with historical sites to visit, adventures activities to do, and good food to hunt down for. That makes the old city a great getaway destination. The nice air and water are said to be the main reasons for the Ipoh-malis' (citizens of Ipoh) flawless skin. 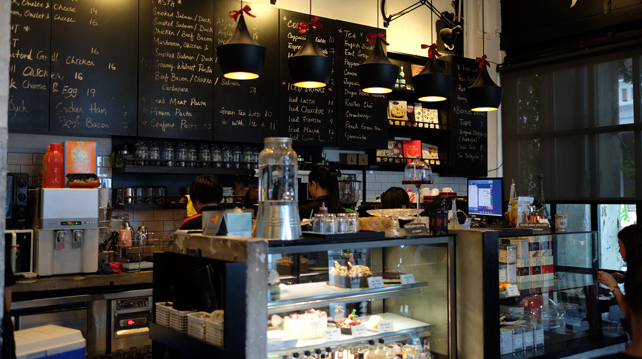 With the rise of cafe culture in Malaysia comes the increase of small businesses started by young returned-home entrepreneurs. 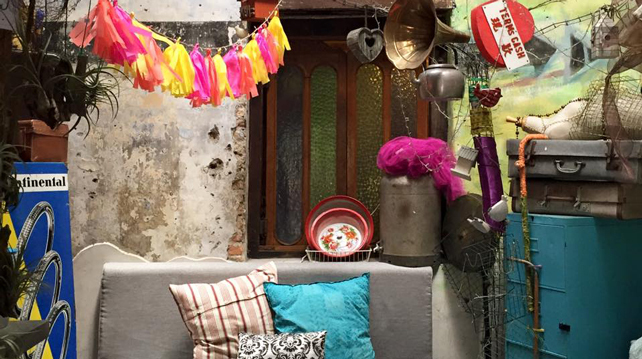 Ipoh catches on the wind and see these little establishments popping up with quirky concepts and hipster vibe. Aud's by JJ is a rustic café that offers big breakfasts, poke bowls, burgers, salads, pasta, cakes, coffee, tea and smoothies. The café also provides food boxes, and birthday or party gift packs as well. You can also get the team to bring a mobile coffee bar to your private events, meetings or workshop sessions. Address: 97, Jalan Sultan Yusuff, 30000 Ipoh, Perak, Malaysia. Get your daily dose of espresso-based coffee here! The café also serves freshly squeezed juices, teas and more. You'll want to try its Gelato with Malaysian flavours like cempedak, gula melaka bananas and cendol. 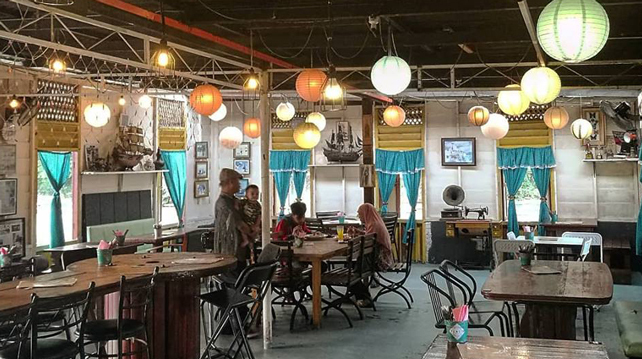 It's worth a visit if you're in Ipoh for some nice Instagram photos – the entire café is just waiting to be snapped up by your cameras. Address: 93 & 95 Jalan Sultan Yussuf, 30000 Ipoh, Malaysia. Located right next to Thumb's Café is this vintage gem. What else would you expect from a café with a tagline that says 'Old is Gold'? Its menu comprises of Asian Western cuisine. Go for its Asam Pedas Siakap, Pasta Creamy Linguini or their crispy onion fritters. 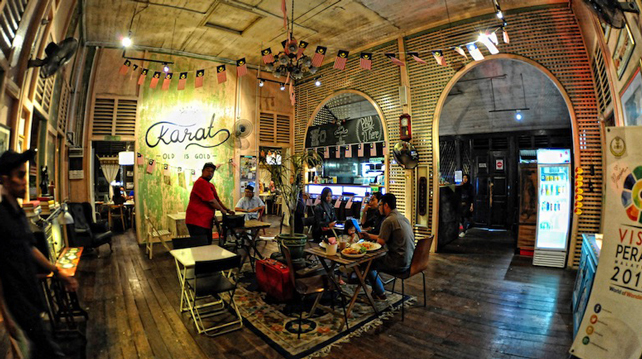 Karat offers local drinks like iced tea as well as coffee and fruit juices. Address: 135, Jalan Sultan Abdul Jalil, Greentown, 30000 Ipoh, Perak, Malaysia. Olijasca is a wellness-focused café. Its menu, consisting of salads, soups, sandwiches, pastas, and stews, are mostly cooked using organic ingredients grown on a farm in the café's backyard. Nothing in their food has any MSG or additives. While it is health-focused, the café also offers beers alongside a selection of organic herbal teas, mocktails, fresh juices, tea and coffee. Address: 17, Jalan Sultan Nazrin Shah 30250 Ipoh, Perak, Malaysia. 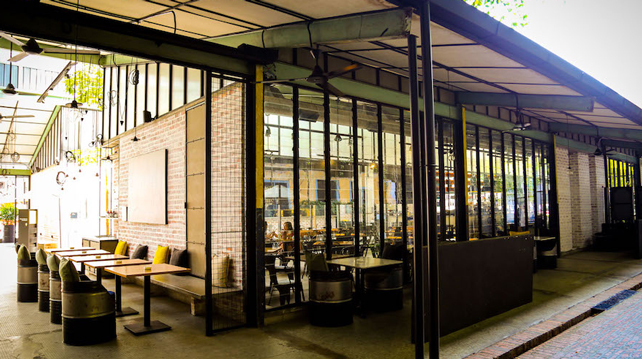 Like most cafes in Ipoh, the Patisserie has an old school vibe to it thanks to its whitewashed exposed brick walls and poured concrete floors. Inside, you'll be greeted with old French tunes and the delicious smell of coffee mixed with sweet scents of freshly baked cakes. Patisserie BoutiQue also serves salads, soups, sandwiches and pasta. It's also worth noting that the café shares the same street where the Kong Heng Square Artisan Market takes place. Address: 103, Jalan Sultan Yusof, 30000 Ipoh, Perak, Malaysia. It’s time for you to get acquainted with Plan B, one of the many outlets under The Big Group - a Malaysian company founded by Benjamin Yong that’s all about spreading his passion for good food - and its popular premium coffee that’s made with beans harvested and delivered directly from their farm. 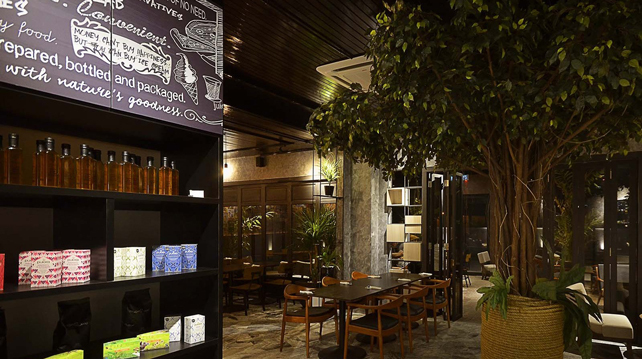 Like its KL versions, Plan B in Ipoh has all-day breakfasts, pastas, salads, sandwiches, and soups while its drinks selection consists of coffee, tea, freshly squeezed juices, milkshakes and granitas. The outlet right next to the Kong Heng Square Artisan Market. There you'll find plenty of booths offering various knick knacks you could ever want. The market is open every day except on Tuesdays. Address: No. 75, Jalan Panglima, Ipoh 30000, Malaysia. 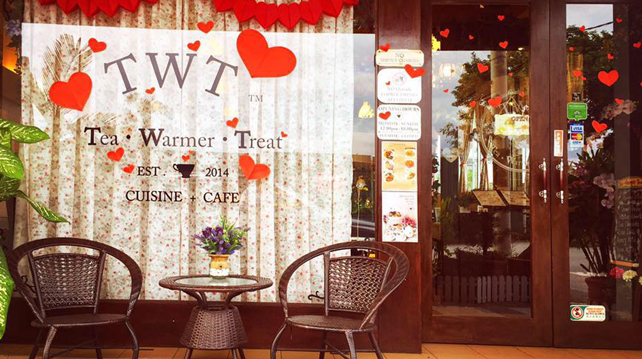 You've probably had your fill of coffee so head on down to TWT (aka Tea, Warmer, Treat) which serves comfort food and good tea. Besides that, TWT also offers mocktails, floats, and cider. While the meals here are a sight for sore eyes, it's the pretty-looking desserts and cakes that'll make your mouth water. Address: 30 Jalan Medan Ipoh 1D, Medan Ipoh Bistari, 31400, Perak, Malaysia. Thumb's is one of the more popular concept cafes in Ipoh. It's established in what used to be an orphanage hostel under the Kompleks Badan Khidmat Islam Perak. Its super old school interiors make for a cosy, homey space for guests to lounge and relax. 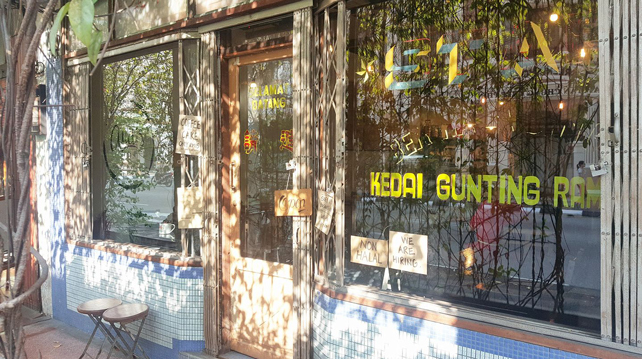 Their menu features both local and Western dishes like fried rice, mac and cheese, char kuey teow, fish and chips and more. Thumb's Café is a halal place so you'll find refreshing fruit punches, coffee, tea and an array of cakes here. Address: 133, Jalan Sultan Abdul Jalil, Greentown, 30000 Ipoh, Perak, Malaysia.